ProProfs allows you to integrate your ProProfs Knowledgebase with ProProfs Survey Maker. You can use this integration to get feedback from visitors landing on your knowledge base. After you have completed this integration, your visitors will see a "Support" icon on the right of the screen. When a visitor clicks it, a survey of your choice will pop up. Step 1: Login to your ProProfs survey maker account, click "Settings." Step 2: On the settings page click "Integrations." 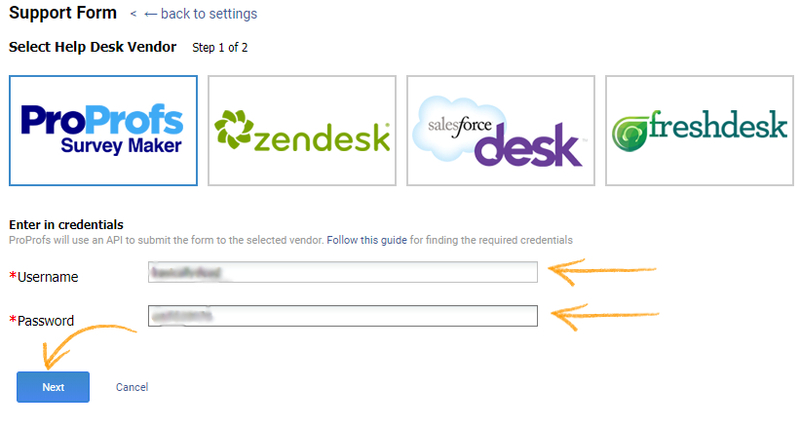 Step 3: On the integrations page click "Forms." Step 4: Choose a site to integrate Survey. 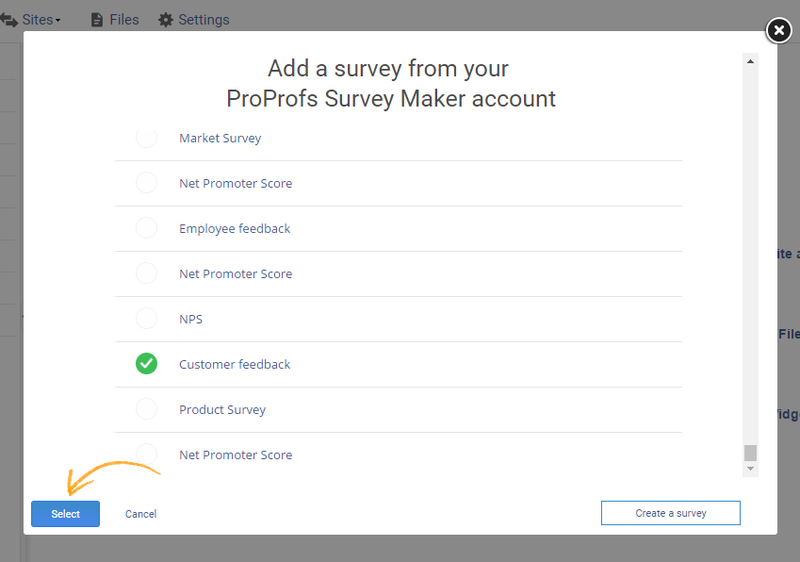 Step 5: Now, click on the ProProfs Survey Maker logo. Enter your survey maker username and password in the appropriate fields, and click "Next." 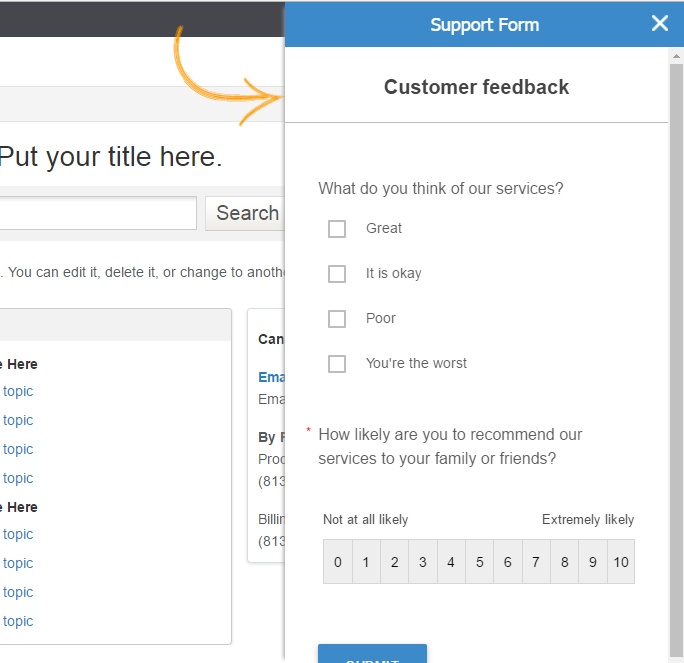 Step 6: A pop up will appear, now add any survey from your ProProfs Survey Maker account. Once done, click on "Select." Note*. You can click on "Create Survey," if you want to add a new one. Step 7: Your survey will pop up once you click on the "Support" button as shown below.